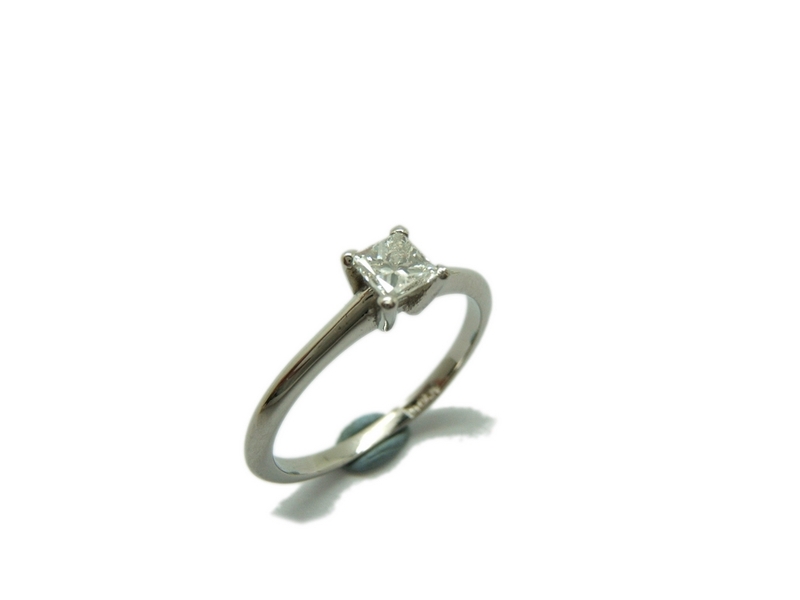 Ring solitaire made in Platíno of 950/000, with a diamond Princess cut 0.29 carat total weight, quality Wesselton and purity Vs. Weight of ring: 2.90 to grams. Measure finger-ring: 14.5 lastra TATUM.